Justin Anderson, Project Development Engineer at GeoStabilization and second from left in the photo, recently participated in a five-person panel to promote the railroad industry to potential future professionals. 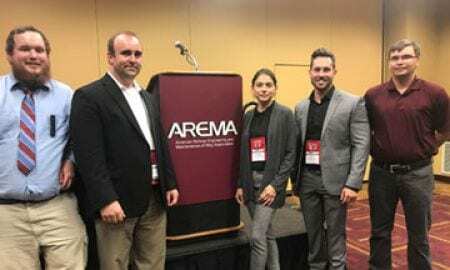 Held during the annual American Railway Engineering and Maintenance-of-Way Association (AREMA) meeting in Indianapolis, the meeting was a chance for young college students to learn about the many facets of the railroad industry. 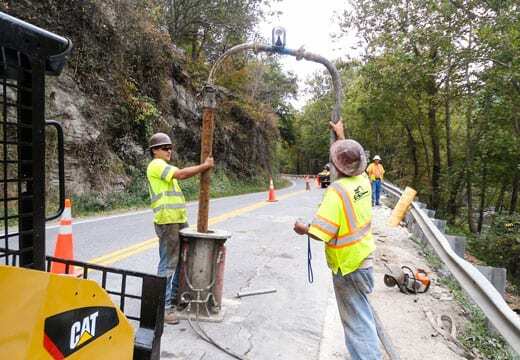 Justin, who has worked directly with a railroad, a railroad consultant, and a contractor servicing the industry, brought a wide-ranging background to the group. To learn more about the program, click here.